It would not be an exaggeration to suggest that the concept of observing even the bare basics of fire safety and security has become a joke in india. In a déjà vu case shopkeepers are back to business after the unauthorised furniture market in lakhnaur village was gutted just about a month earlier. Another unauthorised furniture market exists nearby, that too reported a fire last march. The greater mohali area development authority (gmada), as well as the district administration remain unmoved and the buck passing game is on. Mohali sub-divisional magistrate jagdeep sehgal said that gmada did not ask the administration to get the land evacuated. “I can’t check whether the markets have fire safety arrangements or not. If there are no fire safety norms, I can direct the fire department to act, but we did not receive anything in written from the gmada regarding any action against these shopkeepers,” he said. After the october fire destroyed the entire market in lakhnaur, some shopkeepers had shifted to another place on landran-chunni road, but they returned citing bad business. Now, the shopkeepers have taken rooms on rent in landran, jhanjeri and some nearby villages where they manufacture the furniture and sell their products at the market in open tin sheds. The officials of gmada said that they had asked the shopkeepers to evacuate the market. When told the shopkeepers are selling furniture in open, the officials said that they will again check. Sub-divisional officer (building branch) avdeep singh said that they had asked the shopkeepers not to build any shed at the place as the land belongs to the gmada. When asked about the sale of furniture again going on at the old market place, he said that he would check it out. “I will ask the shopkeepers to vacate the place.” about the other illegal market in the same area, he said that after the fire incident they had asked all the shopkeepers to vacate the land and shift to another place. 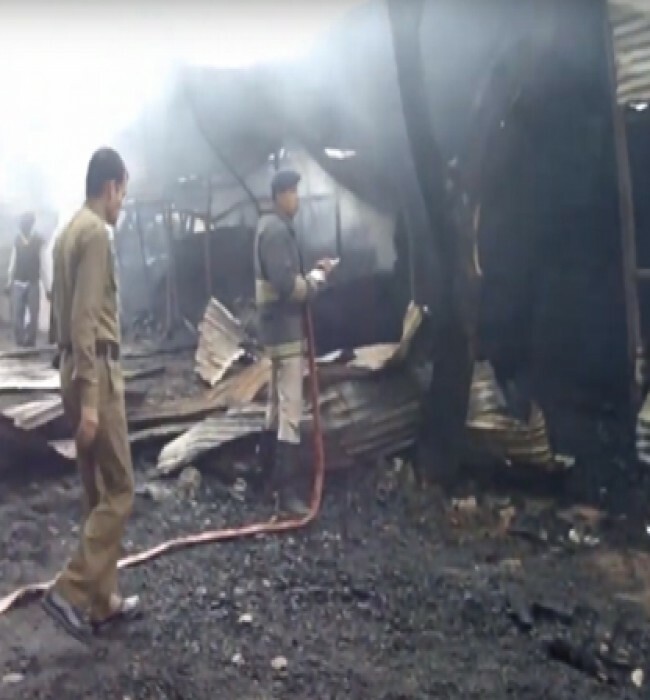 President of furniture market association sunil verma said that the fire incident had taken place near diwali and all the shopkeepers had suffered losses. “we have asked the gmada officials to give us some time so that we can sell our furniture. We were not allowed to install any tin shed. Some shopkeepers shifted to another place, but they are back as they could not find customers. Now we have rented out rooms in the villages to make the furniture and sell them at the old market place,” verma said. The market, which was gutted, was spread over around 3.5 acres and was set up in 1994. The market was set up on a private land but was later bought by the gmada. On october 21, 19 shops were gutted. The nearby illegal market also reported a fire incident in march, but no administrative action followed to evacuate the shopkeepers.